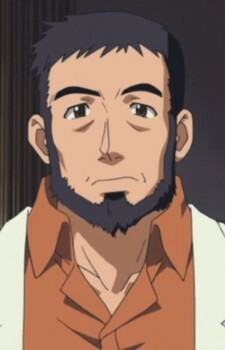 Kei's uncle and doctor of the local clinic. Minoru is something of a lecherous rogue, continually making wolfish comments regarding the attractiveness of passing women. He even does within earshot of his wife, who often retaliates with a measured degree of physical violence. He is openly jealous of Kei's relationship with Mizuho and is more than a little perverted (in the Japanese sense of the word). Despite this, he often covers for and helps Kei and Mizuho out, such as moving Kei's possessions into the married couple's new apartment, purchasing a proper wedding ring for their private ceremony, and paying for an expensive hotel in Okinawa for their honeymoon.